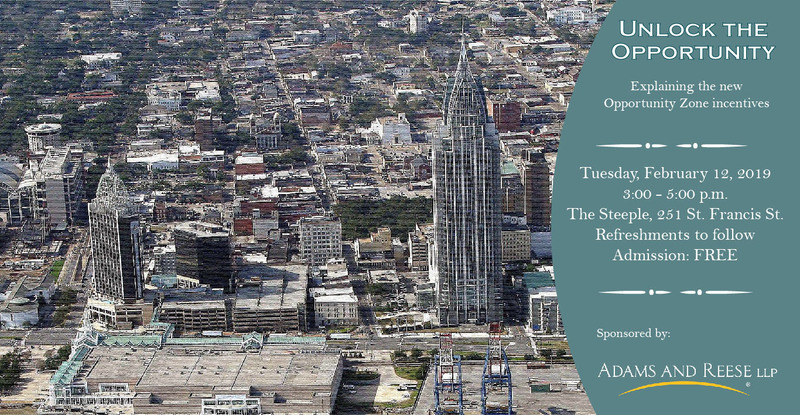 Join the Downtown Mobile Alliance for a workshop with a panel of experts ready to explain the benefits of the new Opportunity Zone program. The revised Federal tax code allows states to designate Opportunity Zones in order to spur investment in economically distressed neighborhoods. Downtown Mobile is one such designated neighborhood. Who should attend? Investors, property owners, developers, business owners, and anyone with capital gains to defer. There is no charge to attend the workshop and reception following, but please RSVP to Tamara Franklin at 251-434-8498 or tfranklin@downtownmobile.org so we will be prepared with adequate seating and refreshments. Copyright © 2019 Downtown Mobile Alliance.